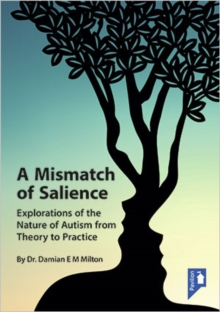 A Mismatch Of Salience Explorations Of The Nature Of Autism From Theory To Practice - ubiq bookshop: the best place to buy books! A Mismatch of Saliencebrings together a range of Damian Milton's writings that span more than a decade. The book explores the communication and understanding difficulties that can create barriers between people on the autism spectrum and neurotypical people. It celebrates diversity in communication styles and human experience by re framing the view that autistic people represent a `disordered other' not as an impairment, but a two-way mismatch of salience.